I don’t really think of work as being time spent earning money. I sometimes earn money doing stuff I like to do. I sometimes earn nothing doing stuff I don’t enjoy doing. The real question is whether you enjoy what you’re doing, I think. 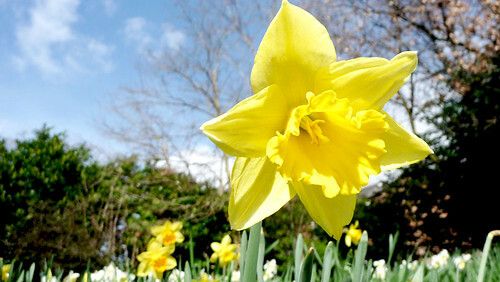 We’ve reached the point in winter where I am strongly yearning for spring, so expect a lot of spring pictures this week and for the next month. The field behind our house fills with wildflowers in the spring. I love watching it change from the white of snow to the brown of dead grass after the melt to the green of fresh grass in the warm weather to the multicolored array of flowers. Thanks to Dean Ward for the picture. If you’re unsure what to do, do what seems right in your heart. That way, the reason why you chose that path will have a natural explanation. On the other hand, if you do something just because others are doing it, the explanation of why you’re doing that is often really hard to find. Chasing happiness often doesn’t lead to happiness. I observed this in my own life, particularly during the period in my life when I was always chasing the new shiny thing. Getting that new shiny thing offered a tiny burst of joy, but over a lasting period, I felt sad and empty. The more I learn about personal finance, the more I realize that it has little to do with money. It has to do with behavior and the choices we make more than anything else. Give a financially senseless person a million dollars and they won’t have it before long. Give someone with some financial sense a million dollars and they’ll live forever on it. It’s about the person and their choices, not the million bucks. I love to see things that are overcoming a struggle and surviving. 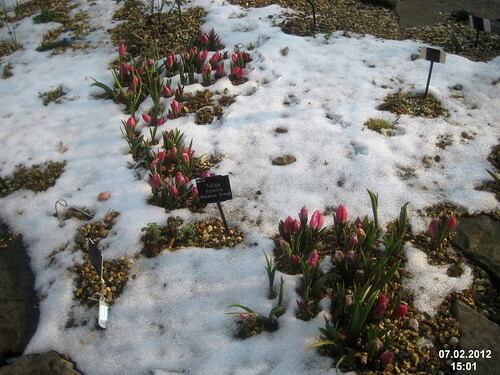 Flowers pushing up through snow are a wonderful example of something beautiful persevering over a hardship. Thanks to David Short for the picture. Imagine eBay without having to actually pay money. You list items. People bid credits. The highest bidder for those credits gets the item, so you either give them the item or send it to them. Then, you use those credits to bid on other stuff. It’s actually quite fun. I’ve picked up a few interesting things on the site and tossed out a few odds and ends, too. It’s one of those really good ideas that, when you see it working, leaves you amazed someone didn’t do it sooner. I listen to this song whenever I’m down. The music captures my mood, but the words, they stick around. They eventually help lift me up. Isn’t that what music is supposed to do? It captures a mood. This song captures a mix of despair and hopefulness in a powerful way. Money is different things to different people. It’s different things to the same person at different times, even. 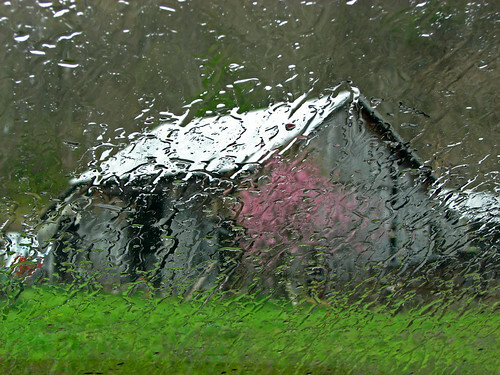 I even love spring showers, because I love the smell of fresh growth outside following the rain. It smells alive. I really miss that aroma. Thanks to Don O’Brien for the picture.